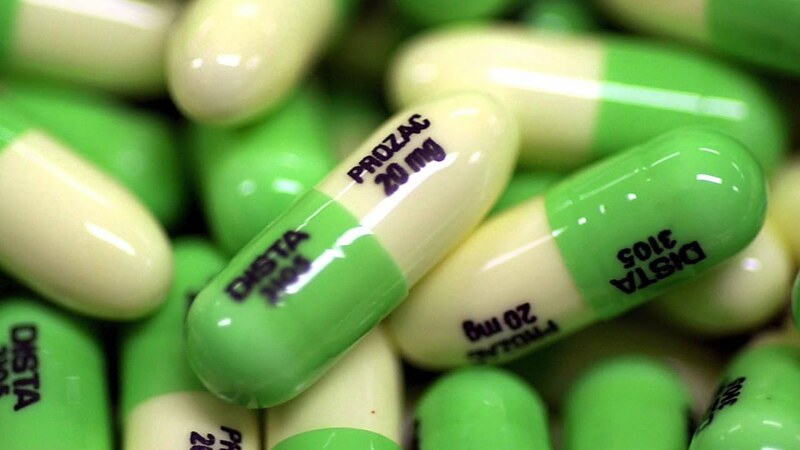 In an effort to prevent under-diagnosis and under-treatment of depression, antidepressant prescriptions have increased by up to 10-fold in the last decade of the 20th century1. While ease of access to antidepressants for those with severe depression is beneficial, the amount of harm due to inappropriate prescribing in conditions such as mild depression (where antidepressants are not indicated) must be considered. The way we have treated depression in the past is failing. In order to help people, we need to embrace a new perspective that challenges previous assumptions and theories. Should We Reconsider Our Diagnostic Strategy? Physicians commonly use validated screening tools, such as the 2-item or 9-item Patient Health Questionnaire (PHQ), to assess the presence or absence of depression2. While it is recommended that physicians use such tools, these questionnaires are leading to gross over diagnosis and treatment of depression. One study found that 20% of patients who completed the brief depression questionnaires during their visit were diagnosed with depression (scored less than 10) and 12% were prescribed antidepressants3. What is alarming is PHQ-9 validation studies illustrate that only 1% of persons with a questionnaire score under 10 have major depression2. Major depression is the only form of depression that has been shown in randomized control trials to benefit from antidepressants2. Extrapolating from the data above, at least 11% of individuals in this study were wrongfully overprescribed antidepressants3. Other studies estimate the rate of over prescription to be much higher. How Well Does The Data Support Antidepressant Use? The American Association of Family Physicians’ statement reads, systematic reviews find only small differences between antidepressants and active placebos4,5. Not only is there little evidence to support serotonin reuptake inhibitors benefit over placebo, but new research says they are harmful, even potentially deadly6. A recent (October 2016) systematic review in the BMJ concluded that selective serotonin and serotonin-norepinephrine (noradrenaline) reuptake inhibitors double the risk of suicide and violence in healthy adults with no signs of a mental disorder6. Given that research estimates a significant amount of overuse of antidepressants this new finding is especially concerning. An alternative solution would be to provide cognitive behavioral therapy which meta-analyses have shown to have effectiveness similar to antidepressant medication for patients with mild to moderate depression7. Check out this video to understand CBT and how it helps people with mild to moderate depression. As a society, we are often consumed with the desire to find a solution to a problem. This “fix it fast” approach overlooks the root cause of what created the issue in the first place. Here are 9 overlooked causes of depression. A recent report published in JAMA Psychiatry looked at 1 million women over 14 years and found that compared with nonusers, those who took oral birth control pills were more likely to use antidepressants or be diagnosed with depression8. Of course taking the OCP will not automatically mean you will become depressed, but it is an important side effect to consider. Actionable Steps: Talk to your physician about these new findings or contact a doctor who can help you ensure you are not developing any nutrient deficiencies. A link exists between insomnia and depression. Research suggests poor quality sleep and duration less than 7 hours was associated with clinical depression and the risk persists for at least 30 years9. Actionable Steps: Practice sleep hygiene which means limiting screen time before bed, going to bed at a consistent time and ensuring your bedroom is pitch black. Observational studies illustrate the similarity of symptoms in severely depressed and hypothyroid patients. There is a clear association between a low thyroid hormone and poor psychological wellbeing. A 2013 report showed even patients with subclinical hypothyroid (lab TSH still within normal range) displayed benefit from thyroid replacement (thyroxine)10. Thyroid hormone also improves response to antidepressant therapy10. Actionable Steps: Talk with your doctor to see if thyroid testing would be appropriate for you. Here’s a list of additional testing you should be asking for. Adequate concentrations of vitamin B12 and folate are essential to maintaining good health. Research shows that individuals with B12 deficiency are 2.05 times as likely to be severely depressed than non-deficient subjects11. Actionable Steps: Consume foods rich in B vitamins such as chicken, seafood and dark leafy greens. A healthy diet is fundamental to good health. Several studies have shown that people who ate a poor quality diet are most likely to report being depressed12,13. Actionable Steps: Follow the Mediterranean diet – which is high in fruits, vegetables, and fish. Avoid processed meat, sweets and fast foods. Vitamin D not only plays a critical role in bone health but also in many other areas. Exactly how vitamin D acts on the brain is not fully understood. We do know that vitamin D receptors are found in the brain where they help signal cells to do something. It has been suggested that vitamin D may increase monoamines in brain14,15. For this reason, low vitamin D has been noted in people with depression as well as other mental health problems14,15. Actionable Steps: Ask your doctor if a blood test to check your vitamin D levels would be appropriate. I recommend having a baseline to dose accurately. Getting outdoors is the simplest and cheapest way to boost your mood. One single bout of outdoor activity has shown a significantly greater improvement in mood over indoor activity16. Actionable Steps: Activity doesn’t have to mean a marathon; a light walk or outdoor meditation would suffice. A recent 2016 study found the prevalence of depression to be higher in type 2 diabetics17. While the mechanism remains unclear, it appears poorly controlled diabetes may mimic depression. For instance, high or low blood sugar levels can make you feel anxious or fatigued. Actionable Steps: Focus on consuming a low glycemic diet and following up with your doctor to ensure your blood sugar is well managed. At some point, we created a culture of people who believe that if we are busy, enough we can be protected from or avoid the truth of our lives. Are we really doing ourselves any favors by creating an illusion of such high expectations? It has become apparent to me that too many of us see “busy-ness” as a badge of honor. We have created this concept that “If I am busy, then I am important and valuable. If the latter is true, then I must be worthy.” The addiction to being busy is not only a maladaptive escape of vulnerability, and it is certainly not healthy for us. A large percentage of people who are taking or being prescribed antidepressants should not be given them. Thus, the people who would benefit from antidepressant medications (those that are severely depressed) are likely much smaller in number than those who are receiving drugs inappropriately. There should never be a “one size fits all” approach applied to healthcare as no two individuals are the same. A thorough medical history must be conducted on every patient before deciding on diagnosis and treatment. If you are uncertain about your treatment plan, ask additional questions or seek a second opinion. In the end, only you have the power to exercise your right to take charge of your health. The best way to heal your mind is to heal your body. Jureidini, Jon and Anne Tonkin. “Overuse Of Antidepressant Drugs For The Treatment Of Depression”. CNS Drugs 20.8 (2006): 623-632. Web. Maurer, Douglas. “Screening For Depression – American Family Physician”. Aafp.org. N.p., 2016. Web. 18 Oct. 2016. “Antidepressant overuse with questionnaires.” Clinical Advisor Nov. 2014: 28. Academic OneFile. Web. 17 Oct. 2016. Zylstra, Stephen. “Pharmacologic Management Of Adult Depression – American Family Physician”. Aafp.org. N.p., 2016. Web. 19 Oct. 2016. Arroll B, Elley CR, Fishman T, et al. Antidepressants versus placebo for depression in primary care. Cochrane Database Syst Rev. 2009;(3):CD007954. Torjesen, Ingrid. “Ssris Double The Risk Of Suicide And Violence In Healthy Adults”. BMJ (2016): i5504. Web. Skovlund, Charlotte Wessel et al. “Association Of Hormonal Contraception With Depression”. JAMA Psychiatry (2016): n. pag. Web. Chang, P. P. et al. “Insomnia In Young Men And Subsequent Depression: The Johns Hopkins Precursors Study”. American Journal of Epidemiology 146.2 (1997): 105-114. Web. Dayan, Colin M. and Vijay Panicker. “Hypothyroidism And Depression”. European Thyroid Journal 2.3 (2013): 168-179. Web. Penninx, B. W.J.H. “Vitamin B12 Deficiency And Depression In Physically Disabled Older Women: Epidemiologic Evidence From The Women’s Health And Aging Study”. American Journal of Psychiatry 157.5 (2000): 715-721. Web. Lucas M, et al. Inflammatory dietary pattern and risk of depression among women. Brain, Behavior and Immunity. 2014;36:46. Lai JS, et al. A systematic review and meta-analysis of dietary patterns and depression in community-dwelling adults. American Journal of Clinical Nutrition. 2014;99:181. Williams, Thornton G. et al. “The Effect Of Vitamin D Supplementation On Pain, Mood, Depression, And Strength In Patients With Spinal Cord Injury”. PM&R 8.9 (2016): S153. Web. Van den Berg, Karen S. et al. “Vitamin D Deficiency, Depression Course And Mortality: Longitudinal Results From The Netherlands Study On Depression In Older Persons (NESDO)”. Journal of Psychosomatic Research 83 (2016): 50-56. Web. Frühauf, Anika et al. “Acute Effects Of Outdoor Physical Activity On Affect And Psychological Well-Being In Depressed Patients – A Preliminary Study”. Mental Health and Physical Activity 10 (2016): 4-9. Web. Kan, C et al. “Genetic Overlap Between Type 2 Diabetes And Depression In Swedish And Danish Twin Registries”. Molecular Psychiatry 21.7 (2016): 903-909. Web. Murray CJ, Lopez AD. Evidence-based health policy—lessons from the Global Burden of Disease Study. Science. 1996;274(5288):740–743. Read Next: Are You Addicted to Technology?